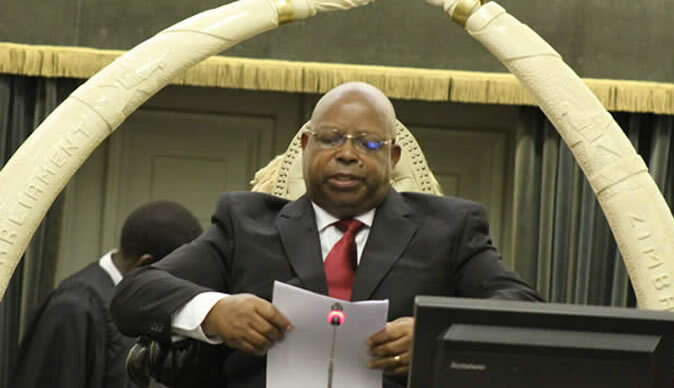 SPEAKER of the National Assembly Jacob Mudenda yesterday blasted the late MDC-T leader Morgan Tsvangirai's family members over their ill-treatment of the former premier's widow, Elizabeth, following the death of her husband last month. Speaking at the launch of the 50/50 Advocacy Campaign and Women's Manifesto in Harare, Mudenda said women should be well-versed with the country's Constitution and property rights laws to fight harassment by in-laws after the deaths of their husbands. "The 1985 Deceased Persons Family Maintenance Act gave women inheritance rights," he said. "It was very sad to read about disputes on the issue of the late icon of democracy, Tsvangirai where it was said family members were harassing his wife over inheritance issues. "The law must be respected, and I always say to myself that if I had spiritual power to wake up from the dead, I would wake up and say do not touch my spouse and her property. These are hers and her children's. The law must be implemented accordingly." Elizabeth reportedly went through a torrid time when Tsvangirai died, with some of the family members seeking to bar her from attending the funeral. Tsvangirai's mother, Lydia Zvaipa, even went to the extent of threatening to commit suicide if Elizabeth and then MDC-T deputy president Nelson Chamisa attended her son's burial in Buhera. The former Prime Minister's widow was also reportedly barred from visiting Tsvangirai on his deathbed at a private South African hospital. Mudenda said women must be able to understand different laws that protected them against such vices as domestic violence. He said they must economically empower themselves so that they are self-sustainable and are not victimised by their husbands or in-laws. He said Zimbabwe had 17 pieces of legislation to ensure gender equality and to protect the rights of women. "As women, you should do advocacy. Go out to rural areas and explain these laws in vernacular," he said. In an unrelated matter, Mudenda announced the resignation of former Marondera West MP Ambrose Mutinhiri from Parliament. He said Mutinhiri also advised that he had withdrawn his membership from Zanu-PF.